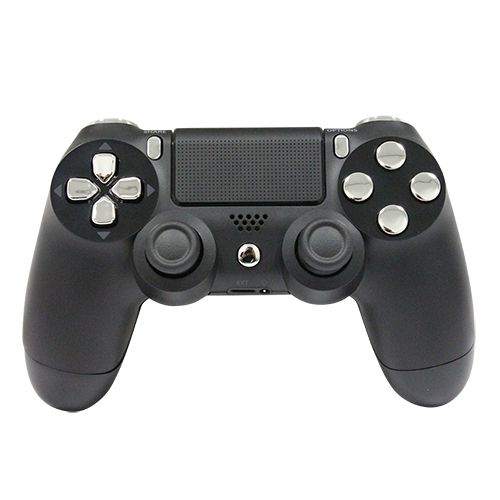 Welcome the next generation in game console controllers for the PlayStation 4, with the DualShock 4. 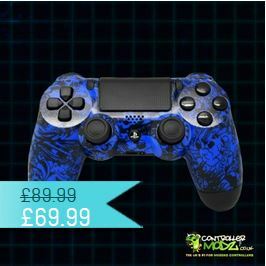 This is the page we will listing all the official modded PS4 controllers and all the modded and custom PS4 controllers UK. 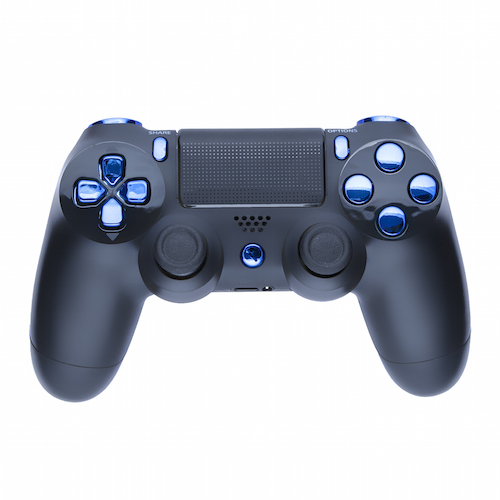 The new DualShock 4 features an integrated touch screen on the controller and a unique Share button at your fingertips, this will enable you to capture gameplay and share with friends, family and other gamers so quickly. This is so handy for all you guys that like to upload or stream your gameplay and it is such a quick and easy process from the controller itself. Built into the new DualShock 4 controller is the new six-axis sensor, as well as this there is a light bar which has coloured LEDs that light up to match up what is going on with what is happening on screen. This bar will also give you critical information such as damage, XP and more. 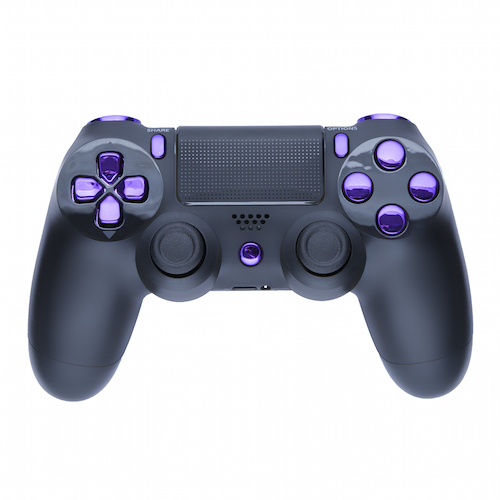 For the gamer that loves it loud, the controller also comes with a headset jack, allowing you to communicate, listen and chat with other gamers. 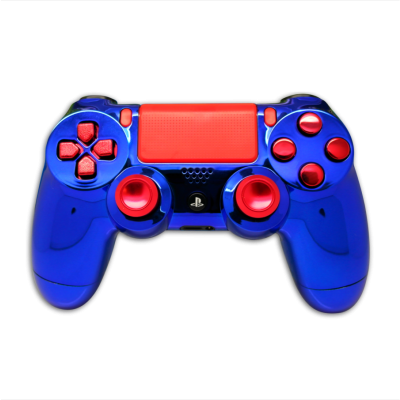 Even though the PS4 hasn’t been out for too long at the minute, that’s not to say that there aren’t plenty of PS4 modded and custom controllers out already to choose from. 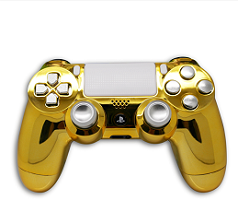 Even if you’re just a casual gamer that plays now and again, it’s still worth spending a bit of money on a modded controller so that you’re not at an unfair disadvantage compared to other players, especially if you’re planning on playing online. Change action buttons – Are you sick and tired of the normal look of the PS4’s triangle, circle, x and square buttons? 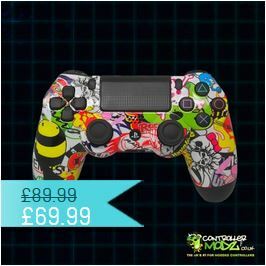 If you are then why not change the look and feel of them to make your controller stand out from the crowd! 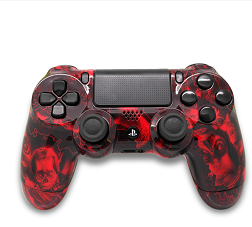 It doesn’t cost too much to customise it, so it’s worth doing if you love having something a bit unique. 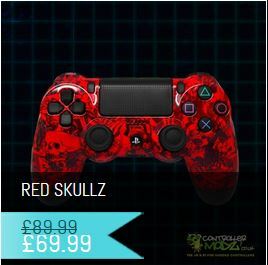 Rapid Fire – If you play a lot of FPS PS4 games then you might want to think about getting a controller which has rapid fire options built-in. 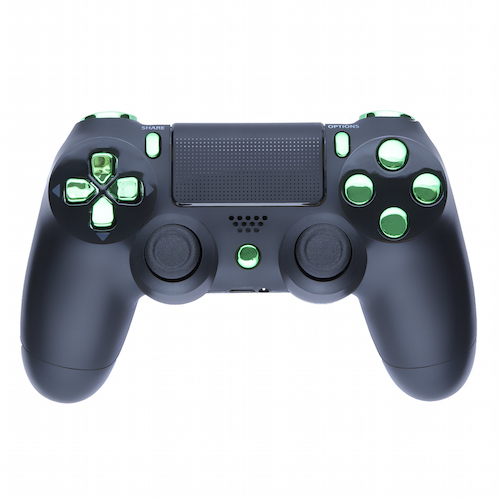 Most of these types of controllers come with an adjustable programmable mode as well as an akimbo mode feature. Changing from one mode to another is as simple as pressing a button, it’s really that simple. 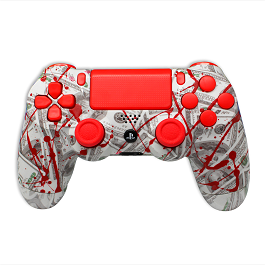 Drop Shot – Are you a Call of Duty fan? If you are then getting a controller with a drop shot mod is a really good idea if you want to avoid your opponent’s shots. This mod lets you go drop to the ground really quickly so that you can focus on shooting back on your opponent. Quick Scope – Once again, the quick scope mod is perfect for COD snipers. Instead of zooming in with one button and then shooting with another, you can simply press one button which zooms and shoots at the exact same time. You’ll ask yourself how you ever played as a sniper before without it when you try out this mod on your PS4 controller! Jitter – Another popular mod on our PS4 controllers is the jitter mod which allows you to turn any 3 burst weapon into an automatic to boost your firepower. This mod doesn’t work for a few games such as MW3 and Ghosts, though, so make sure you check before buying. Turbo Melee – Hate waiting for ages before being allowed to knife attack someone, one after another? Then why not add the turbo melee mod to your custom PS4 controller so that you don’t have to wait as long as before between knife attacks!